The Orioles are approaching a new low. Baltimore suffered its 107th loss of the season Monday, a 5-0 shutout to the Blue Jays that left them 43-107, 60 games out of first place and tying the 1988 team for the most losses in a single season in team history. The 1988 club started 0-21 on its way to a 54-107 finish. 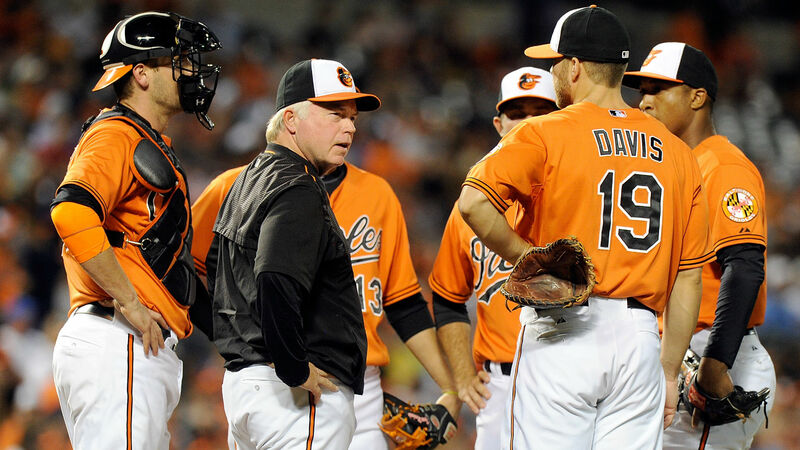 “It’s frustrating to say the least,” first baseman Chris Davis said (via the Baltimore Sun). “Once we hit 100, it was kind of like … I don’t know, I honestly didn’t have any words for it. It was embarrassing. It was frustrating. The Baltimore Sun noted that only 11 teams have recorded more losses through their first 150 games dating back to 1871, most recently the 2013 Tigers. The Orioles, who have 12 games remaining on their schedule, will face the Blue Jays at 7:05 p.m. ET Tuesday.